Ken Boddie talks to Vince Porter, Executive Director of the Governor’s Office of Film and Television, and Lana Veenker, about the state of the film industry in Oregon. They’re just three of the television and film productions made right here in Oregon; and there’s more where that came from. Film and television in Oregon is headed for a record year in 2011. A major network, NBC Universal, is committed to shooting a pilot in Oregon based on the Grimm’s fairy tales, and several more projects are coming that could put hundreds of Oregonians to work. 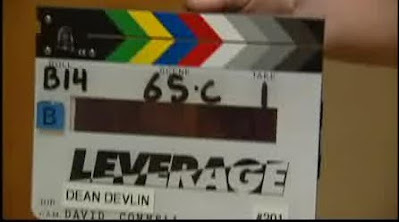 “Leverage is into its third year–they just started shooting this week up on Mount Hood,” said Vince Porter, director of the Governor’s Office of Film and Television. “Portlandia caught the imagination of enough people that they’re coming back for a second season this summer,” said Porter. At any given time there are about 13,000 Oregonians working in the film and television industry. Since 2007, producers have spent about $178 million in Oregon, with an overall economic impact of $350 million. Those numbers are expected to grow to $275 million and about $500 million, respectively, by the end of the year. Lana Veenker owns a Portland casting agency that hires for Leverage and is currently casting for the new NBC’s upcoming Grimm-based project. She sees the growth in Oregon’s film industry, adding that Oregon is definitely on the map when it comes to film and the proof is in the jobs. “We have fantastic film crews, we have a really strong base of actors, we have every kind of location you can imagine,” said Veenker. Film Production is Off the Charts in Oregon!